Harold Ramis, an actor, writer and director who inspired a generation of comedic performers and filmmakers with movies like “Ghostbusters” and “Stripes,” died of a rare autoimmune disease early Monday morning. Raised in Chicago, Ramis was the head writer for and a performer in the sketch TV show Second City Television in the late 1970s. He got his big break in the movie industry writing “National Lampoon’s Animal House,” followed by “Caddyshack,” “Groundhog Day,” and “Analyze This,” among others, all of which he directed and co-wrote. Judd Apatow, Peter Farrelly and Adam Sandler have claimed Ramis as an influence. 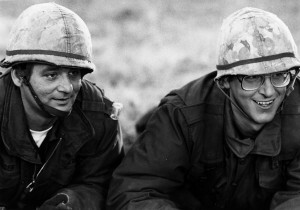 For more on the influential comedian, you can read a profile of Harold Ramis written by the New Yorker in 2004.